Foundation of the SPARS . 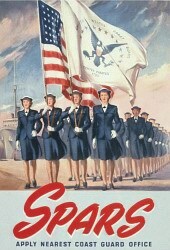 The United States Congress recognized the need for female participation in the US Coast Guard for the same basic reason that it authorized women's reserves for the other branches of the Armed Services, such as the Army, Navy and Marine Corps - releasing men for combat. .. Therefore, on 23 November 1942, President Roosevelt signed Public Law 773, which modified the previous Coast Guard Auxiliary and Reserve Act of 1941. This law authorized women to hold shore positions (at first restricted to the continental United States but later expanded overseas) for the duration of the war and for six months thereafter. 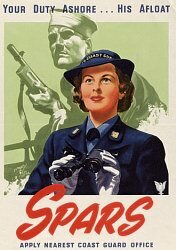 The Women's Reserve was thus established as a branch of the Coast Guard Reserve, but its members required a strong female leader and a fitting designation for the challenging task ahead. 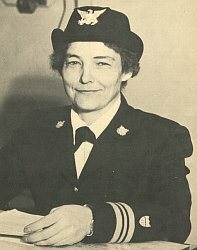 The woman selected for the important role of heading the Coast Guard Women's Reserve was Dorothy C. Stratton, a WAVES officer whose job in civilian life was Dean of Women at prestigious Purdue University. She met the desired credentials of a pioneering woman professor and strict disciplinarian who oversaw women on a largely male college campus. At first, the commissioned ranks SPARS officers could attain were limited. The highest authorized rank of lieutenant commander was held by the director of the program. The number of lieutenants could not initially exceed eighteen. Women officers were only allowed to exercise military authority over female personnel. 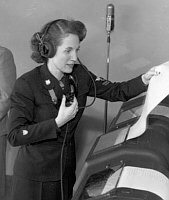 Captain Stratton was directed to prepare SPARS immediately to replace servicemen in jobs such as mail clerks, typists, receptionists, messengers, telephone and teletype operators, radio operators and technicians, as well as motor vehicle drivers, pharmacist helpers, cooks and stewards.